The Kibbutz movement, a major power base for Broshi, urges him to step aside over sexual harrasement allegations. Zionist Union MK Eitan Broshi's political career suffered a major blow on Monday after the United Kibbutz movement urged the embattled lawmaker to step aside due to fresh sexual harassment allegations. "The kibbutz movement views the recent reports very seriously and expects MK Eitan Broshi to act in accordance with the severity of the matter and to suspend himself from public activity in order to fight for his reputation and to put things in order," said United Kibbutz Movement CEO Nir Meir. The kibbutz movement's decision to come out against Broshi is a major blow to the legislator. Broshi headed the United Kibbutz Movement from 2013-2015 and the umbrella group had been his major power base within the Labor party. According to a Channel 10 report on Sunday, Broshi grabbed a woman in an elevator in 2006 when he led the Jezreel Valley Regional Council. The woman added that she had sent a letter to Zionist Union head Avi Gabbay informing him of the reported attack. Following the expose, numerous lawmakers had demanded that Broshi resign, including faction leader Avi Gabbay. 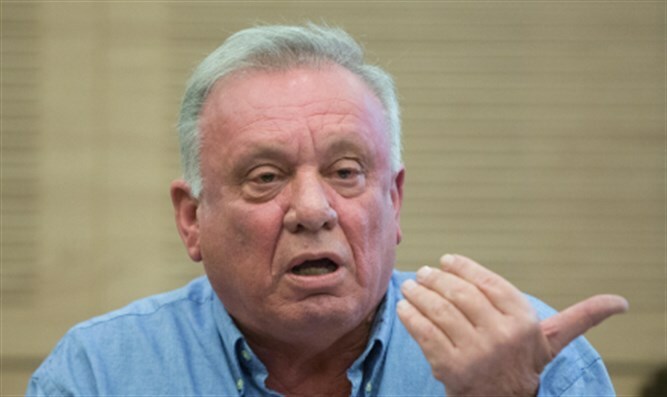 "I spoke with MK Broshi this evening and told him that he was suspended immediately from party activity, and demanded that he take responsibility for his shameful actions and withdraw from the Knesset. Sexual offenders have no place in the Knesset or the street," tweeted Gabbay. However, Broshi adamantly refused to vacate his Knesset seat and alleged that the allegations were fabricated. "I have no intention of resigning, I did not do anything," Broshi said.